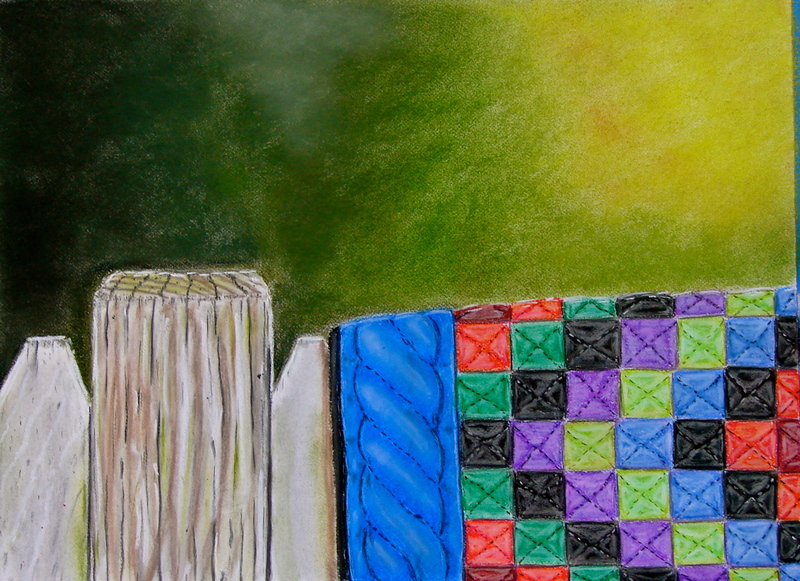 Here is a pastel painting that is not like anything in my portfolio. I need more summer and nature pictures for the portfolio and this is what I have down so far. I am pretty happy with the results so far…I just need to add a couple of birds to the post with wildflowers to the background and foreground and I should be all set. I can’t wait to see it completed. I have included the reference photo I took in my backyard. 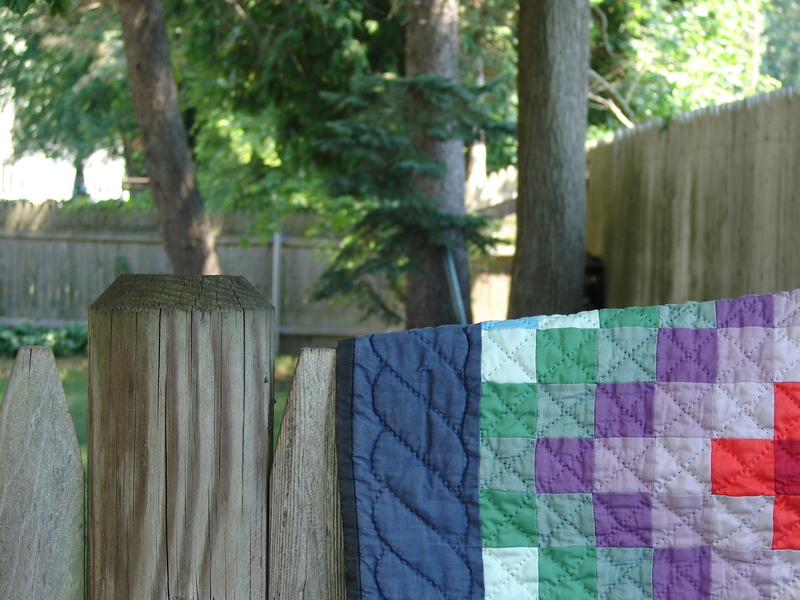 I just made the colors more vibrant in the quilt for intensity. I will post the completed picture as soon as I am done. 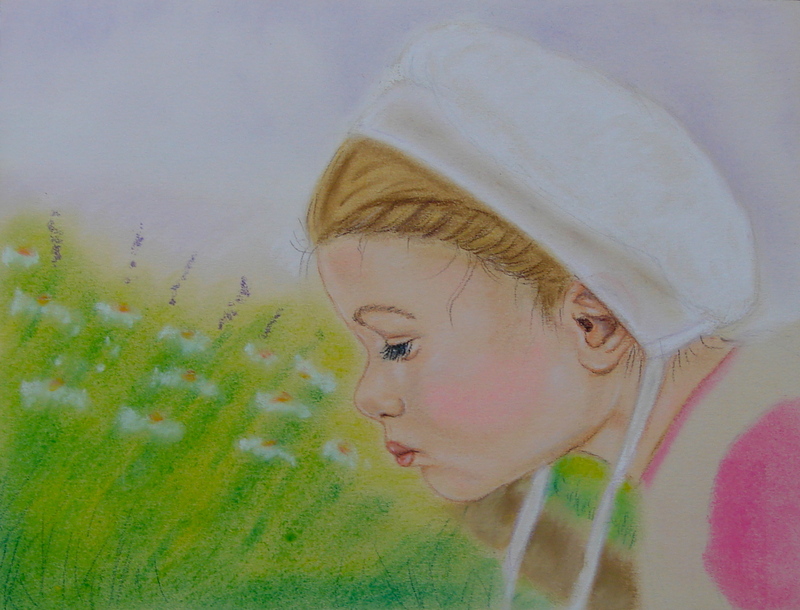 This is the picture that was inspired from a photo of my daughter, Caitlin, when she was small. She will be transformed into an amish girl smelling a flower in the garden with a butterfly or two. I seem to be stuck in the garden of flowers as I am not sure what colors I want to use…so I sit and stare…and try to picture it in my mind. I will try and finish this by mid-week at most. Then, I will share it with you, I promise! Any ideas…please share! Again, my love for angels made me try another one, and of course, I am running out of titles as I love to place them in the garden many times. 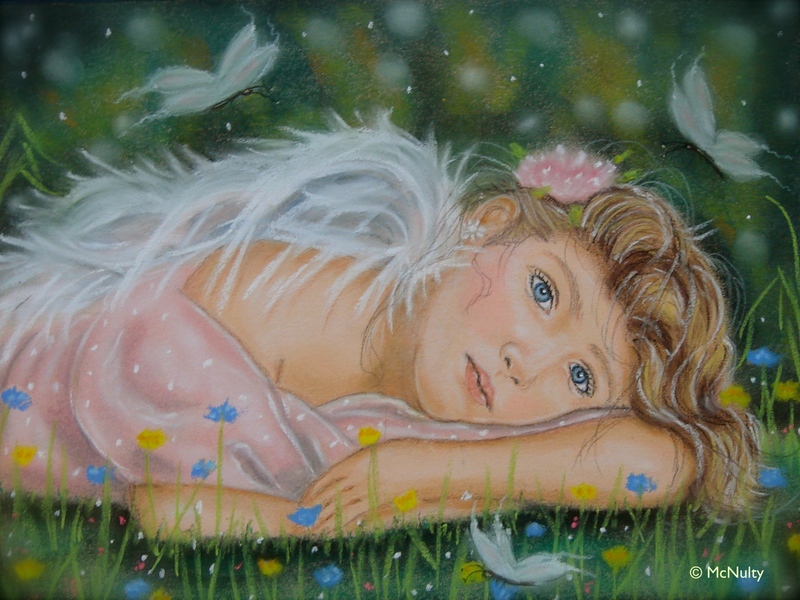 I could actually have “Angel In The Garden” several times now,but until I can find another name for this, here is another angel in the garden :). I am also not sure if I am finished with this yet, but I think I may be. Just wanted to get this out there. Hope you like it. 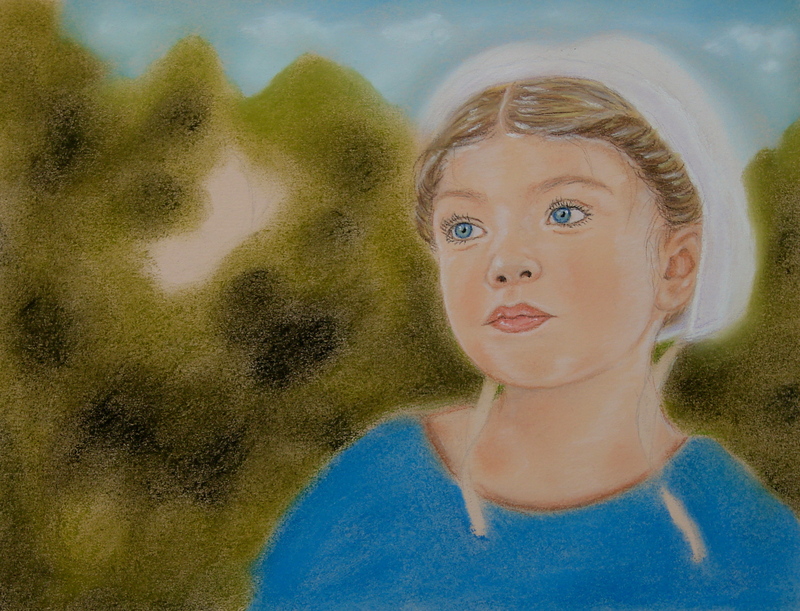 Here is the finished piece of Amish Girl In The Garden. I hope you like it. I don’t know if it was because I received many reviews on this piece in it’s beginning stages, that I was afraid I would disappoint in it’s finishing stages. I just wanted to keep touching it here and there, until I finally said to myself that I just had to get it out there and leave it alone and go on to the next one! But anyway…I hope you like it. I blurred the edges on this one a little bit to give it more of a soft appearance. Hello everyone. The weather here is yucky and so I am blogging and then going upstairs and painting with my pastels! Because it makes me happy! Here is a picture in the works right now. This started to be an angel, but decided to try an amish girl instead. I love the amish culture and the peacefulness and quiet of the country there. The amish girls in their colorful dresses just add to the beautiful landscape. I can’t wait to see how this looks finished. She will be framed in flowers as if she is in a garden, and a butterfly will be flying toward her. I will update with the finished picture! Hope it is a great pic! We’ll see! 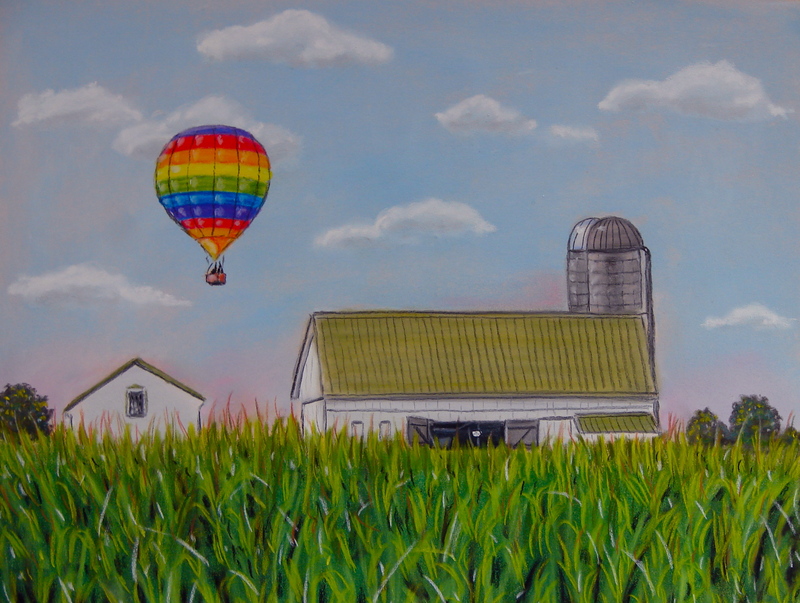 Here are two new pastel pictures I have been working on. Since Christmas, it has been so hard to keep working on my art, but I finally started up again. I tried my hand at a landscape with Lancaster Morning. I took a photo I had from our last trip to PA and added an air balloon to it. 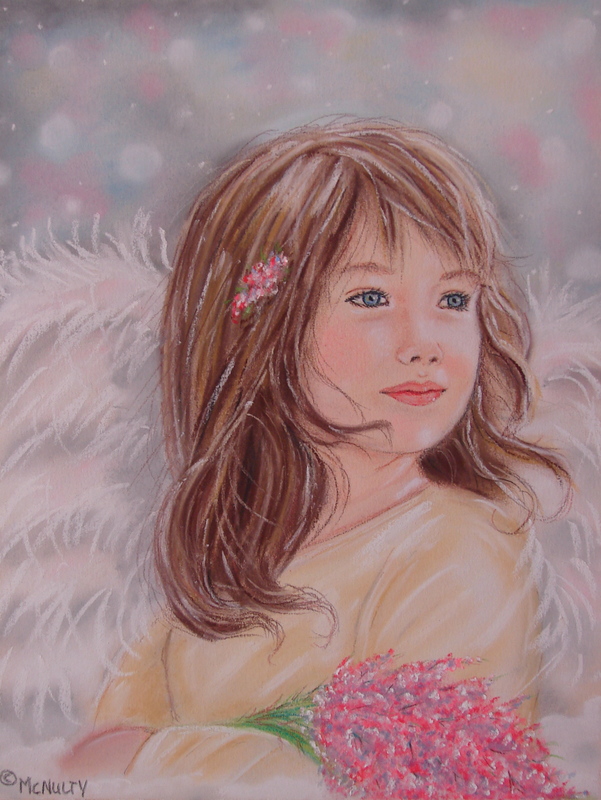 Then, I just had to do one of my best-loved subject…angels. I like the way this came out so soft and looking like Spring!